Finally, I get to post a game I made! 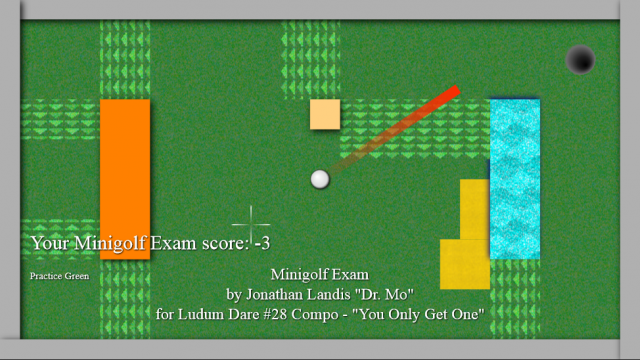 Minigolf Exam is an 8-hole miniature golf game where you only get one round to prove your skills! If you do badly on your first run, you are a minigolf failure forever. I made this game in 48 hours as my Ludum Dare #28 compo submission, and I wrote a few status updates about it here.